(CNS): The new premier of the Turks and Caicos Islands has written to the UK’s foreign secretary asking him to withdraw the local governor, attorney general and chief financial officer from the territory. 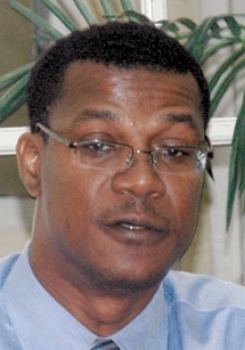 Rufus Ewing, the leader of the PNP, currently holds office by default after losing one of his party's seats following a successful challenge to the November election result. He has alleged that “atrocities and wrongful acts” are being committed by the UK’s officials in the country. Ewing said Ric Todd, Huw Shepheard and Hugh McGarel Groves are obstacles to prosperity. “They never have, and even more so now, enjoyed the trust, confidence and support of the people of the Turks and Caicos Islands,” he writes in his letter to William Hague. In the letter sent on 10 February, Ewing has asked for the men to be “replaced by unbiased individuals, better suited to adapt to and to work synergistically with a democratically-elected government, the business community and the local community." The TCI authorities have already claimed the full confidence and backing of the FCO in London and have denied Ewing’s claims that the alleged wrongdoings of the former PNP Administration and associates are a farce. The UK Administration took direct control of the islands in 2009 following a commission of enquiry which exposed serious corruption and mismanagement of public money. Since that time the UK has been investigating the findings of the commission. Twelve people have already been arrested on charges relating to corruption, including five of the ministers from the former premier’s Cabinet. 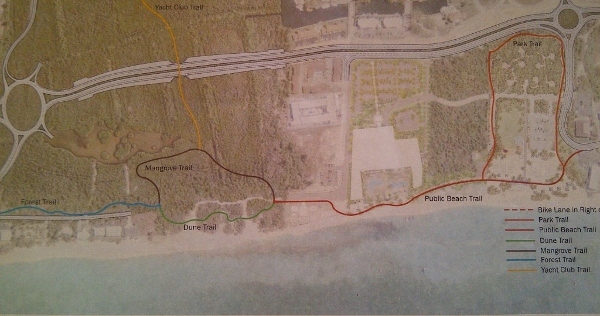 $19.5 million and 2,500 acres of crown land has been recovered..
Michael Misick, the former premier, is still in Brazil, where he fled after the investigation began to target him directly. He was arrested and detained in prison on an international warrant but has since been released on bail as the TCI authorities are going through an extradition process. Misick has said he will not fight that and intends to return to TCI to face questions, claiming there is no substance to the charges. Ewing, who is clinging on to power ahead of a by-election next month that will either put him back in office or on the opposition benches, criticized the constitution, which was reformed by the UK, and the imposition of VAT in the territory against the wishes of the entire community. He also complains that the UK officials in Turks are reluctant to give up their position of dictators in the islands, despite the re-instatement of the democratically elected parliament. “The Governor and other remaining officials from the former administration, the Attorney General and the Chief Financial Officer, have demonstrated a reluctance to facilitate the transition of governance back to the people of this country,” Ewing wrote and asked Hague to recall the men and send new UK representatives. (CIFA): Wendy Fisher, an IT-Administrative Personnel with the Cayman Islands Government currently attached to the Department of Vehicles and Licensing attained her FIFA badge on 1 January and is now a FIFA International Assistant Referee representing the Cayman Islands. Being the baby sister of the then football icon Winston Hurlston, Wendy at the age of ten was always at the Annex on Saturdays andSundays to watch her brother and mentor play football. “I admired his skills," Wendy says. "His knowledge of the game drew me to the sport. It was at that age that my dream of being in the football world began. “I attended the former Cayman Islands High School, now John Gray High School, and that is where my football interest and skills developed. I was encouraged by my brother to join the Yobbo Rangers woman football team," she added. Wendy recalled that the club at the time was coached by her brother and Jocelyn Morgan. She also played for the George Town Sports Club woman team and represented the Cayman Islands playing for the national women’s team on numerous occasions. Wendy has had a wealth of experience and exposure playing at the national and international level. She was granted a football scholarship and played the sport in Pulaski, Tennessee, USA. She was called the petite right midfielder of her college team. Travelling from state to state and studying, she recalled: "I’ve gained a lot of knowledge on and off the field of play." After a long halt and embarking on family life, three kids later, Wendy decided to change her call from a player and answered the call to becoming one of Cayman’s female referees. "One day, I was sitting at my desk at work, and I saw an advertisement where the Cayman Islands Referee Association were recruiting new members. I made note of the dates and times of the sessions and attended every session. I was determined to return to the sport that I loved so dearly." In 2010, she was successful in passing the theory exam. She acknowledges the encouragement of Alfredo Whittaker and Livingston Bailey to focus on her training and development. Wendy is known for her swift movement on the touchline, where she served as one of Cayman's best female assistant referees. She cherishes the fact that she has been serving the Association as an assistant referee from the time of her qualifying. Alfredo Whittaker highlighted the fact that Wendy has participated in three Referee Assistance Program Courses (RAP) conducted by FIFA Referee Instructor, Peter Prendergast. The RAP program is designed to professionalized and enhance referees’ skills to better manage their games in the 209 FIFA member associations. Wendy constantly reminds herself of these words carefully spoken by Prendergast at her first RAP fitness test; "The race is not for the swift, but for those who can endure it. I cherished those words on a daily basis and have usedthem as a motivating factor to never give up." She said passing the FIFA fitness test to be accepted on the international list was not an easy task. However, her success came through hard work, dedication and commitment to intense training. She said, “I thank God that I was able to make personal sacrifices towards my family life and training, which made me successful in my endeavor. As a result, I was accepted by FIFA as an assistant referee to the 2013 FIFA International List of Referees representing the Cayman Islands. “I am very proud of Wendy’s achievement. Her commitment and determination to achieving her objective has paid off. 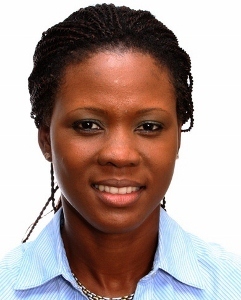 CIFA referees' technical instructors took very keen interest in her growth and development for the last two years, and we are quite confident that she will do well on the international circuit," said Livingston Bailey, Chairman of the CIFA Referee Committee. Wendy said, “I’m most grateful to my family and my referee colleagues who supported me, especially Carline Reid-Willis, Christopher Stewart and Swason Owen who are also international referees representing the Cayman Islands. Through their help and motivation, I stand as a proud Caymanian ready to launch my international refereeing career through-out the world. I am encouraging young Caymanian women to get involved in the refereeing program locally and aim to advance their career at the international stage. The sport is growing, not just for men but women as well, so grab hold of the opportunities now and enjoy the success later." (CNS): With only two new suspected cases reported to authorities this week and all four of the latest test results received by the authorities turning out to be negative the transmission of dengue fever locally maybe slowing down. Public health officials said Thursday that two new cases are now under investigation for dengue during the week of February 3-9. Meanwhile, four results were received during this week from the Caribbean Public Health Agency and all were negative for dengue. These results are included in the 33 cases which have been investigated so far this year, officials added in the latest update on local infections. The onset of the last confirmed case was on January 18, officials added. However, two more cases are under investigation and one person was admitted to hospital for treatment. Neither of the latest two patients have a travel history to an endemic area. One is a resident of George Town and the other lives in West Bay. 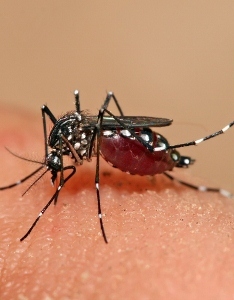 Since the beginning of 2012 127 cases of suspected dengue have been investigated. Of those 109 results have been received forty of which were positive. 65 cases were negative with four case remaining inconclusive and 18 results pending. From the 40 confirmed cases only twelve patients reported travel history to endemic countries so 28 people had acquired the dengue locally, 24 of which were from West Bay, while the remaining four were from George Town and Bodden Town. In total since the start of 2012 30 people have been hospitalized suspected of having dengue and treated for the disease which is transmitted by mosquitoes. (CNS): The Carnival Triumph cruise ship, which was crippled by an engine-room fire in the middle of the Gulf of Mexico more than four days ago, was limping towards Mobile, Alabama Thursday evening at what was described as an agonizingly slow pace for the passengers on board the 893 foot ship. Pulled by a tugboat, the ship was expected at the US port around midnight as miserable passengers continued to face food shortages, overflowing toilets, dirty conditions, foul odours and dangerously dark passageways. More than 4,200 passengers and crew suffered another misfortune during the day on Thursday when a towline snapped, bringing the vessel to a dead stop. The ship left Galveston, Texas, a week ago and CNN footage has shown the frustrations of passengers on board since the ship got stuck in the Gulf of Mexico with signs of "Help" hanging from their cabin rooms. 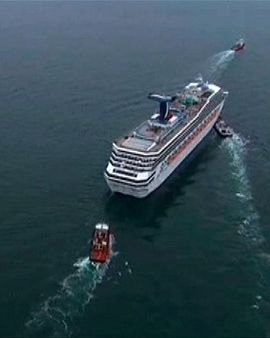 As the vessel drew within cell phone range, passengers vented their anger to the US media. Disgusted by the foul air and heat on the lower decks, many passengers hauled mattresses and bed sheets onto the top deck and slept there, even staying put in a soaking rain. As the ship approached the coast, a slew of Carnival workers removed the bedding and took it downstairs. Passengers said that the cruise line was trying to cover up the chaos and mess on board since the engine failure. The company disputed the accounts of passengers who described the ship as filthy, saying employees were doing everything to ensure people were comfortable. Carnival didn't immediately respond to questions about the illnesses reported by some passengers. Terry Thornton, senior vice president for Carnival Cruise lines, said they received an extra generator that allowed them to serve hot food. (CNS): Following changes to the traffic law banning the use of cell phones behind the wheel, officials clarified what drivers can and cannot do with their phones as part of a safety awareness campaign. Focusing on the distractions that cause accidents, the campaign will target mostly cell phone use and drunk driving. “Drivers may only use a mobile phone when their vehicles are moving, or stationary but not parked if the mobile phone is secured in a fixed mounting or the phone does not require touch or manipulation by the driver in any way,” the Streetskill team stated. Texting, video messaging, online chatting, reading preview messages and emailing are also prohibited. Drivers may only hold their phone to pass it to a passenger. 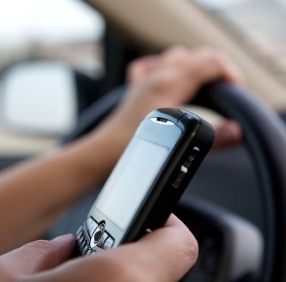 When using the phone to call for help, drivers should first park safely. The law allows drivers to call 911 if it is unsafe or impractical to stop and park. "Following these simple rules saves lives and keeps drivers on the right side of the Traffic Law. It will also save them a $150 ticket," officials added. For more details see fact sheet below. 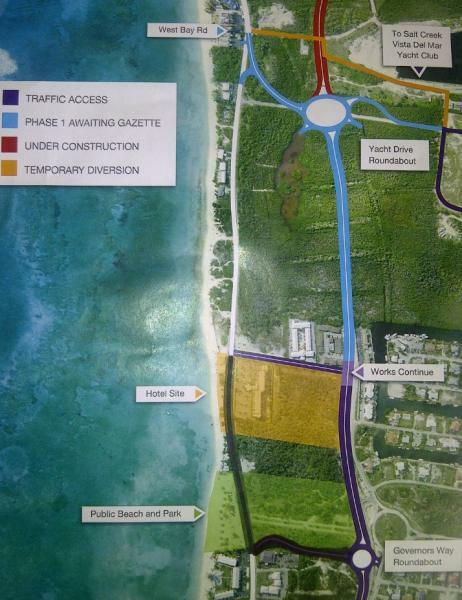 (CNS): Another person has been seriously injured on Cayman’s roads, police revealed Thursday. A young male driver is being treated for critical head injuries at the George Town hospital following what appears to be a single vehicle collision. Police said that on Tuesday 12 February at about 3:17am a 23-year-old man sustained serious injuries in a road smash in Bodden Town. The man was believed to have crashed the car he was driving into a cement wall at a home along Bright View Drive off Shamrock Road. The victim remains at the local hospital in George Town in a critical condition. The news of this latest serious local road smash was released by the RCIPS on Thursday just hours after news that a tourist haddied from injuries sustained after he was hit by a car crossing the West Bay Road on Friday night. Meanwhile, the police, community activists and government representatives have launched a new road safety campaign aimed at reducing the number of drunk drivers on the road and to stop people using their cell phones behind the wheel. There were 1,245 traffic incidents in Cayman last year and police revealed that since the start of this year 25 people have already been arrested for DUI and 80 ticketed for using their phones behind the wheel. (CNS): Visitors to Florida from Cayman or elsewhere in the world planning on driving in the state have been given a reprieve regarding a new requirement that foreign drivers have an International Driving Permit (IDP) as well as their own country’s valid driver’s licence. 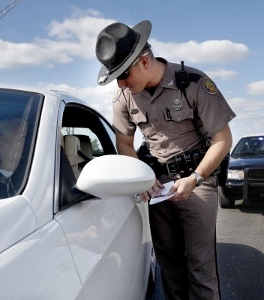 The Florida Highway Patrol will not be enforcing a state law that overseas drivers carry an extra permit, as it may violate the Geneva Convention on Road Traffic, an international treaty to which the United States is a signatory, the department said in a press release Thursday. Last year the state legislature amended a statute requiring visitors without a US driver’s license to have an International Permit to drive lawfully in Florida from 1 January. The department had told a UK newspaper that if a foreign driver is pulled over by Highway Patrol officers, or is involved in an accident, without the international permit they could find themselves jailed or given a mandatory court date. However, officials from the department said the requirement had been placed on hold. “It has come to the Department’s attention that this requirement may violate the Geneva Convention on Road Traffic (1949), an international treaty to which the United States is a signatory. Treaties to which the United States is a party pre-empt state laws in conflict with them,” the Florida Department of Highway Safety and Motor Vehicles said in a statement Thursday, adding that it would defer enforcement until a final determination could be made on the situation. “Non-resident visitors to Florida who wish to drive while here will be required to have in their immediate possession a valid driver license issued in his or her name from another state or territory of the US or from their country of residence. However, the FHP will not take enforcement action based solely on the lack of an International Driving Permit," the officials added. The state is expected to waive the international permit requirement for any license issued in English as the main reason for the international permit requirement is because that document translates licence details into 10 different languages and helps law officers interpret foreign licences.